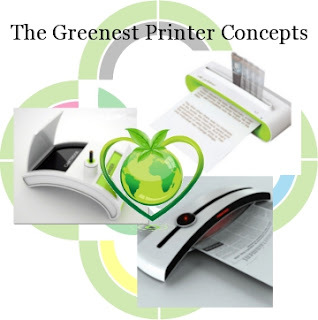 The Greenest Printer Concept | TonerGreen - Eco-Friendly Toners from the U.S.
As the "Go-Green" virus starts to spread in, major industries are starting to re-think and re-produce their setting and processes to be more eco-friendly. And one of those is the printing industry, with major printer manufacturers putting eco-friendly features on their printers and machine equipment. Together with environment-conscious shops who offers environment-friendly printer supplies, they encourage printer users to support green printing. Winning the Greener Gadgets Design Competition with his RITI Printer, Jeon Hwan Ju design concept takes your coffee or tea dregs and turns them into an eco-friendly alternative to conventional ink. 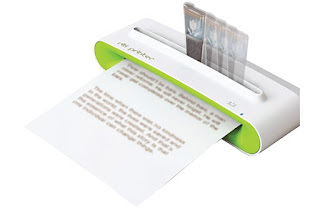 To use the RITI printer, you place the coffee or tea dregs into the ink cartridge with some water, insert a piece of paper and move the cartridge backwards and forwards into the slot while drawing on the paper. 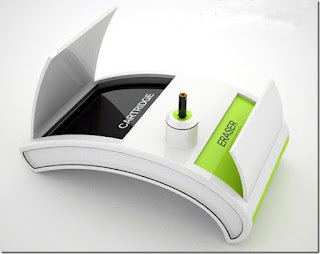 Using you own kinetic energy to power the process means there is no electricity needed to use this printer. The Tanning Printer is a solar-powered printer device that uses the sun's solar energy to "tan" your paper. It uses a magnifying-like system that somehow tans the paper in order to produce black and white printed pages. Similar devices known as thermal printers have actually been around for quite some times, using thermo-sensitive papers, but none of these devices uses solar energy. Designed by Ho Young Lee, this Eco-printer Pencil Printer prints as well as erases, it feeds on scrap pencil and eraser pieces. It gets its ink from the pencil graphite and erasing material from the rubber in the eraser pieces. 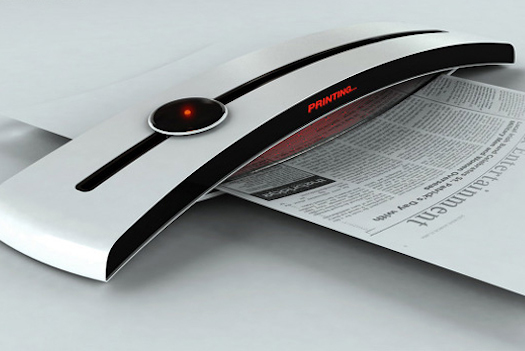 These futuristic printer concepts are indeed interesting but for now, that these printers remain as mere concepts to incite our imagination and what technology can offer for our environment, you can still promote environment-conscious printing, starting with the use of eco-friendly consumables like TonerGreen's remanufactured toners cartridges, remanufactured inkjet cartridges and printer supplies.